We know you have many options when choosing experts. 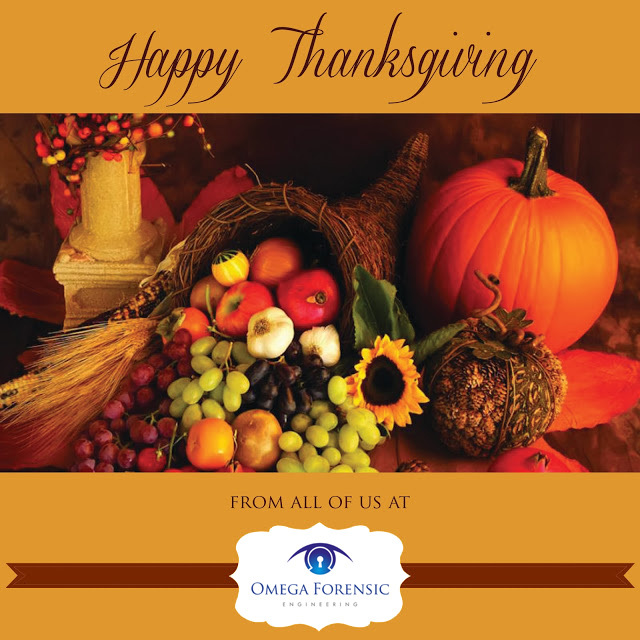 We are thankful that you have trusted Omega Forensic Engineering to handle your assignments, and look forward to hearing from you after the holiday. Please note: our offices will be closed Thursday and Friday so our engineers and support staff can enjoy time with their families. Should there be a pressing matter, you may contact Jamey Bennett at 615-336-1807 or by email at jbennett@omegaforensic.com.